Sydney, March 20: Eating fish oil, rich in omega 3 fatty acids, can help reduce the risk of asthma by nearly 70 per cent, finds a study. Fish oil is known to be rich in polyunsaturated fatty acids (PUFAs) or n-3 and contains omega fatty acids 3 and 6, which play a central role in the normal development and functioning of the brain and central nervous system. The study found that "certain types of n-3 (from marine oils) were significantly associated with a decreased risk of having asthma or asthma-like symptoms by up to 62 per cent, while high n-6 consumption (from vegetable oils) was associated with an increased risk by up to 67 per cent," said Andreas Lopata, Professor from the James Cook University in Australia. Foods to Eat After a Workout: How A Protein-Rich Meal Can Help You Build Muscles. Around 334 million people worldwide suffer from asthma, and about a quarter of a million people die from it every year. 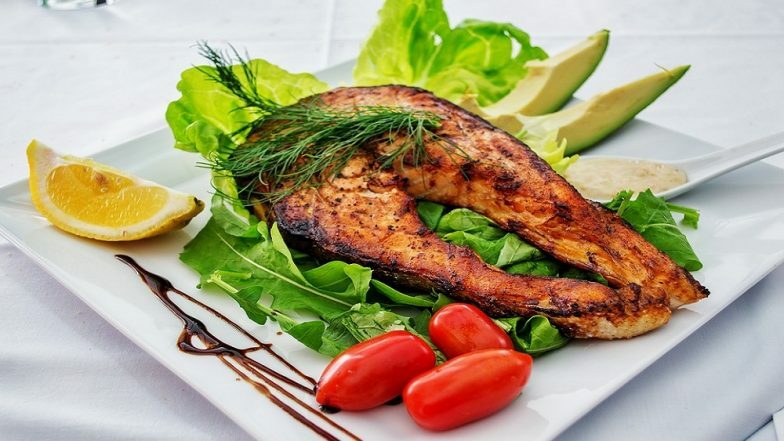 "Even if you factor in contaminants, such as mercury found in some fish populations, the benefits of fish and seafood intake far more outweighs the potential risks," Lopata said, in the paper published in International Journal of Environmental Research and Public Health. However, she stressed the need for further work to understand how the beneficial role of n-3 could be optimised and negative effects of n-6 be minimised. For the study, the team included 642 people who worked in a fish processing factory in a village in South Africa.